Local wisdoms of indigenous people could help Indonesia tackle the damaging impacts of climate change, including those of land and forest fires, an activist has said. The executive director of the Jambi office of the Indonesian Forum for the Environment (Walhi), Musri Nauli, said all countries should be aware that local wisdom -- the power of the people -- could resolve the problems caused by climate change and global warming. Nauli said the world should be aware that all this time customary people had been able to adapt to climate change by applying local wisdom. “The canal-partition system, the arrangement of commodities that are allowed to be cultivated on peatland and several prohibitions have long existed in society, in which the people use them to protect peatland,” said the activist as quoted by kompas.com on Tuesday. Nauli said that in responding to recent peat fires in several areas in Indonesia, the government should focus on law enforcement. “The government must learn from the failed implementation of Reducing Emissions from Deforestation and Forest Degradation (REDD)-plus programs in Indonesia,” said Nauli. 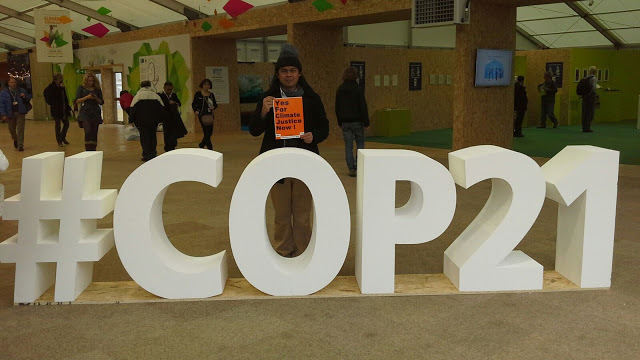 Land and forest fire is one of two tough issues the Indonesian delegation is facing at COP21 held in Paris, France, starting from Monday. The other is the issue of the plan to build coal-fired power plants. With those two crucial problems, country delegations attending the Paris climate conference are in doubt as to whether Indonesia can meet its climate commitments, namely to independently reduce its carbon emissions by 26 percent by 2030, or by as much as 41 percent with international support. Nauli called the government’s plan to build coal-fired power plants a setback. “It’s an outdated idea. China and the US have been striving to reduce their coal-fired power plants by up to 40 percent. Why do we plan to increase our coal-fired power plants?” said the environmentalist. President Joko “Jokowi” Widodo conveyed a statement on Indonesia’s stance in the global fight against climate change at the conference on Monday. Indonesia’s commitments in the global climate agenda are included in the Intended Nationally Determined Contributions (INDC), or national commitments of all countries to fight climate change.